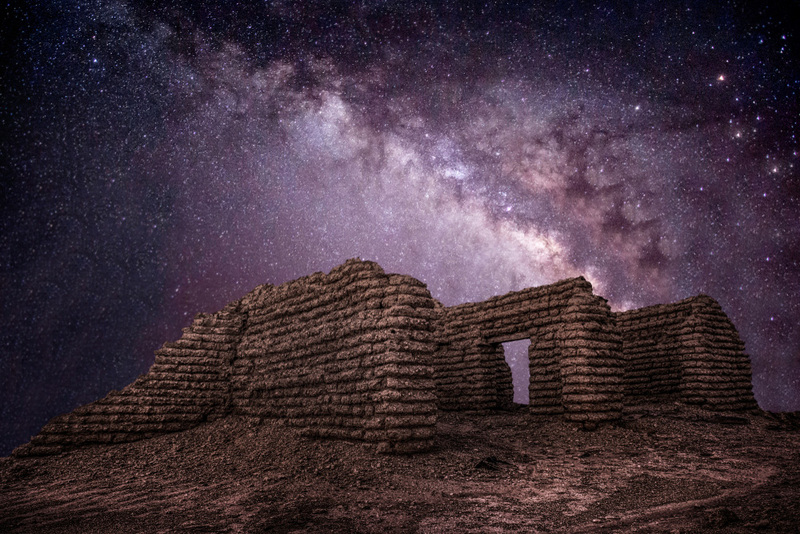 The Kingdom’s hidden desert city is an archaeological gem. Saudi Arabia has numerous touristic sites of cultural and historic importance. And one of the most interesting is surely Mada’in Saleh, a pre-Islamic archaeological site located in the area of Al-Ula in the northwest of the country. Some 400 km north from Madinah, visiting Mada’in Saleh — also called Al-Hijr, Arabic for “rocky place” — is a great way to escape the daily grind for a couple of days. 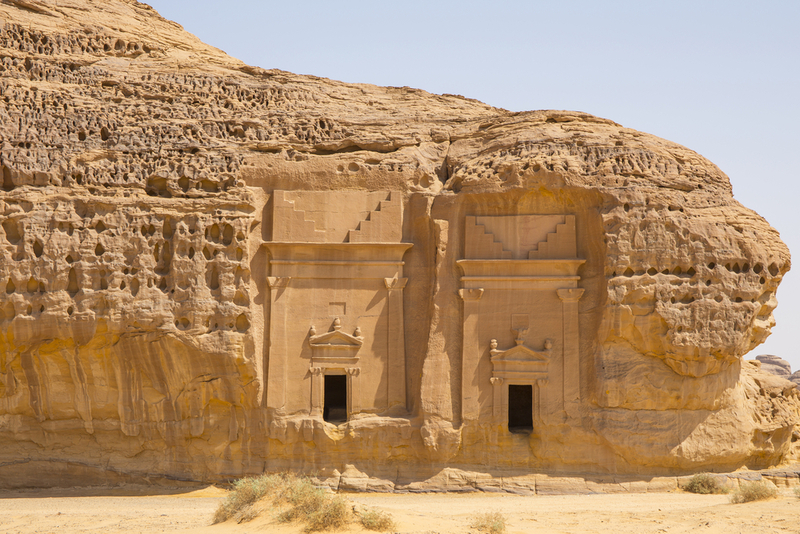 Mada’in Saleh’s most important remnants date from the Nabatean Kingdom, which was established in 168 BC. In the first century AD, the Kingdom gradually became encircled by the expanding Roman Empire, until the Romans annexed it in 106 AD. Situated between the Sinai Peninsula and the Arabian Peninsula, its capital and wealthiest place was the city of Petra in Jordan. Mada’in Saleh was the second city in importance and the most southern settlement of the Kingdom. The Nabatean Kingdom flourished due to its location at the crossroads of several trade routes and its monopoly on incense, myrrh and spices. The surreal site of Mada’in Saleh covers an area of about 12 square kilometres. It is located on a plain, at the foot of a volcanic rock plateau. Yellow and pink sandstone rock formations, sculptured by the wind into the most fascinating shapes, are scattered all over. The geology itself already makes the place worth a visit and resulted in the Nabatean invention of carving stones into houses, temples and tombs, with decorative elements and scripts inscribed on their facades. Little is left from Mada’in Saleh’s residential zone, which is fenced off from the public, as the houses were mainly built with sundried mud brick. However, the necropolis built around it was sculptured from the sandstone rock formations and a total of 131 rock-cut tombs have survived the ravages of time. The tombs are grouped in four areas of the cemetery. Some rocks contain only one tomb, whereas bigger rocks have tombs on all sides. Their facades are decorated with inscriptions as well as images of birds, human faces and other creatures. Clearly, the several international trade routes that crossed the Nabatean Kingdom resulted in Egyptian, Assyrian, Greek and Roman influences on the facades. Some of the tombs also contain writings on top of their entrances, giving information about the person or family buried in it, the date of the carving and the name of the carver. The interior of the tombs, on the other hand, is empty and without any decor. Once the area of the Nabatean Kingdom became part of the Roman province of Arabia, it fell into abandonment, as the Romans used the Red Sea for their trade routes instead. Mada’in Saleh remained merely a station of minor importance to provide water and supply to pilgrims travelling to Mecca. The Ottomans, however, built a fort in the place in the 18th century to protect the pilgrimage route. In the beginning of the 20th century, they decided to construct a railway, connecting Damascus and Jerusalem to Mecca and Madinah. The largest station of the so-called Hijaz railway was built in Mada’in Saleh. It included a maintenance site for locomotives as well as offices and dormitories for railroad staff. This railway had not been in use for a long time when World War I saw its destruction. 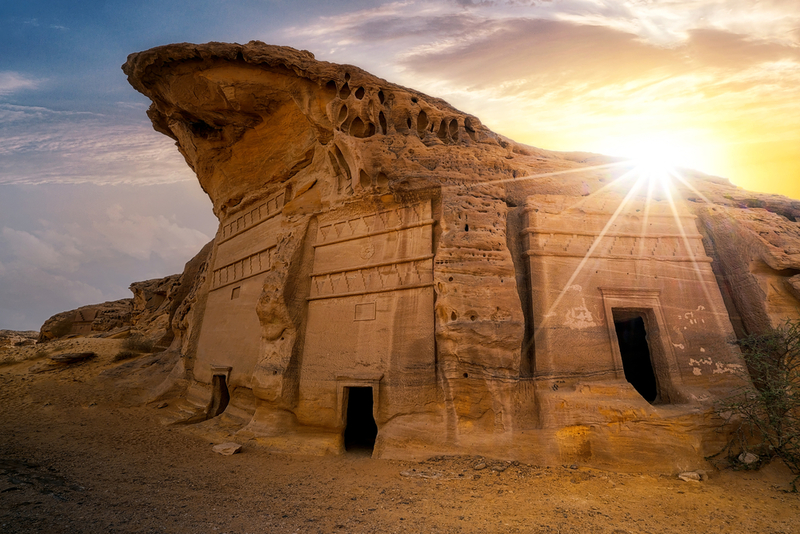 In the 1970s, Saudi Arabia officially identified Mada’in Saleh as an archaeological site, and since 2000, the government has been keenly promoting cultural heritage and developing the site into a tourist attraction. This led its recognition as a UNESCO World Heritage Site in 2008 — the first UNESCO site in the Kingdom — and construction of an airport in Al-Ula. The Nabateans, apart from being traders, also excelled at oasis agriculture. They drilled over 56 wells and dug rainwater tanks in the rocks to irrigate their crops. Some of these wells can still be found in the area. 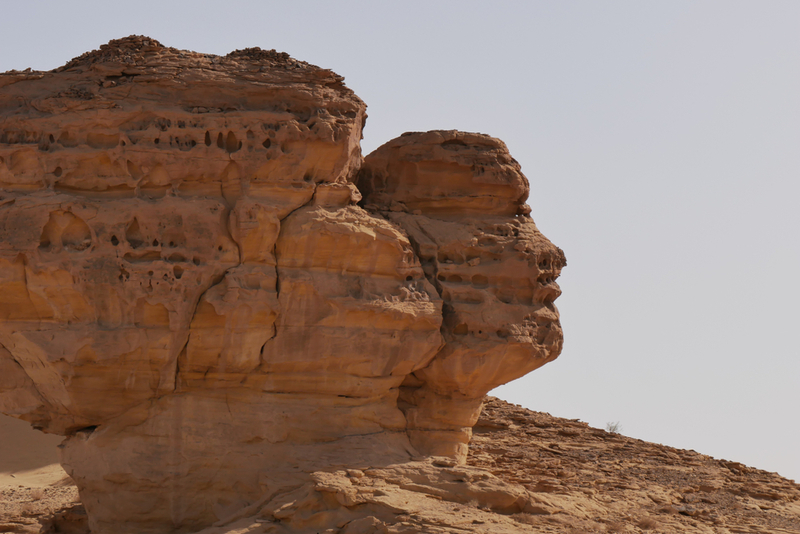 The largest of them, near Al-Mehjir Mountain, is located north of Mada’in Saleh. 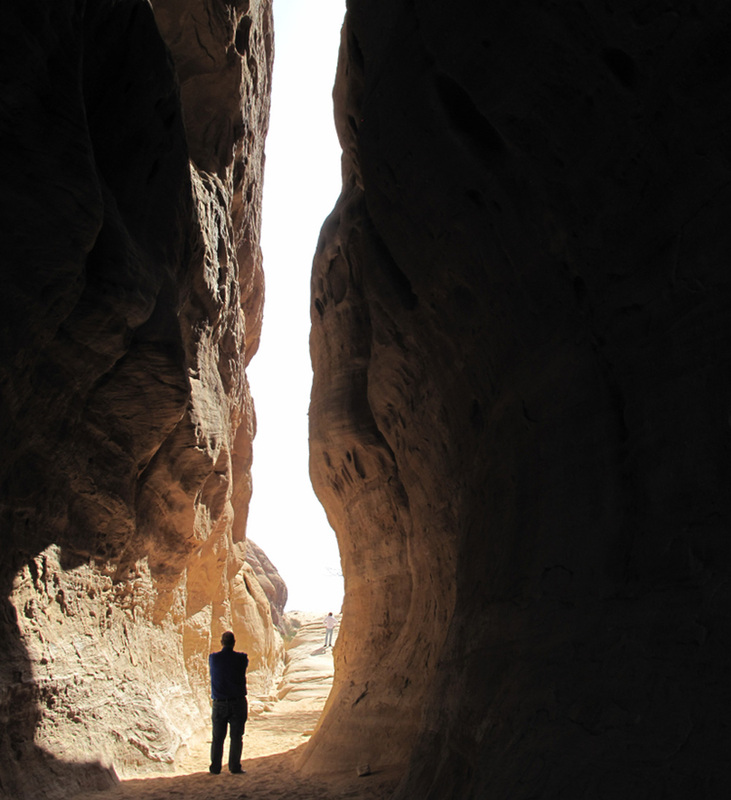 The heritage site of Al-Ula, locally known as Al-Deerah or “the old town,” is another must-see. The village was built in the 13th century and abandoned over 40 years ago. It consists of over 800 dwellings surrounded by a wall with 14 gates, which used to be closed every night so as to protect the inhabitants from invaders. Walking in the town feels like being in a maze, but the place is small enough to prevent visitors from getting lost in the narrow alleys, many of which are covered as a protection from the heat of the sun. The foundations of the two-story buildings are mostly in stone, whereas the upper floors are made from mud bricks. Palm tree trunks and reeds, covered with mud, were used for the ceilings. The stones were taken from nearby ruins, and as a result, some still carry inscriptions, writings and ornamentations from the time of the ancient Lihyan Kingdom on them. Adjacent to this old town lies an ancient castle, which has origins dating back to the 6th century BC and was used to protect the town. Visitors who climb up to the top will be rewarded with astonishing views of the valley full of palm trees. The Museum of Archaeology and Ethnography, located in Al-Ula’s new town, is an outstanding way to learn more about the region’s geology and pilgrim routes. 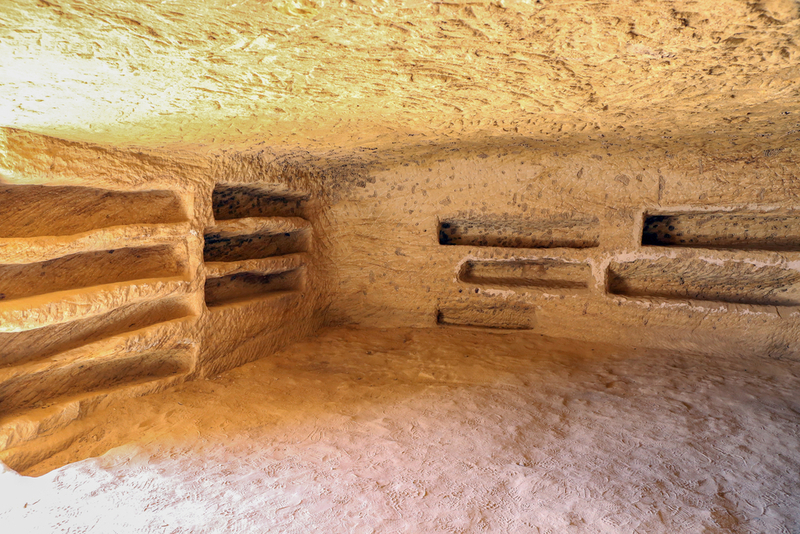 It contains many artifacts from the several civilizations that inhabited the area throughout history, including the Nabateans. One to two hours are enough to visit this small museum. 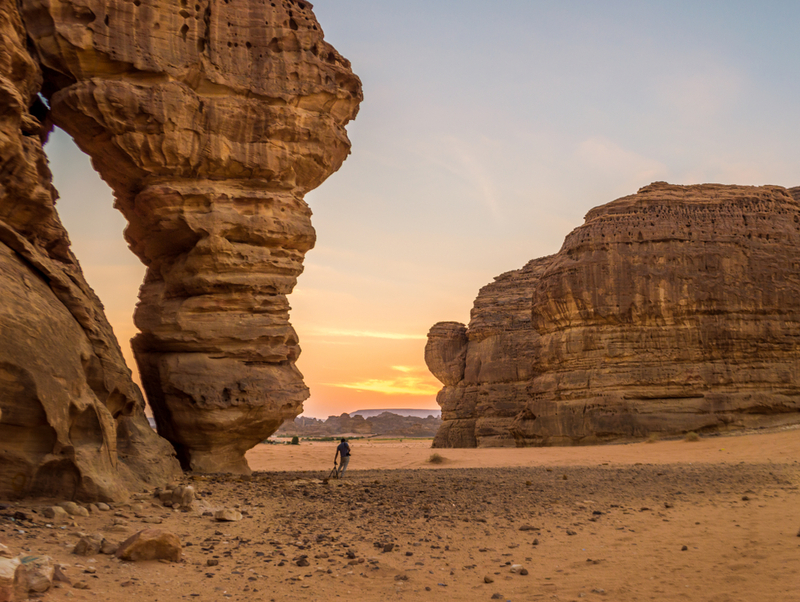 After a long day of exploring the intriguing historical sites, make sure to watch sunset from the cliffs above Al-Ula. The rocks and oasis in the valley assume exceptional colours at this time of the day.